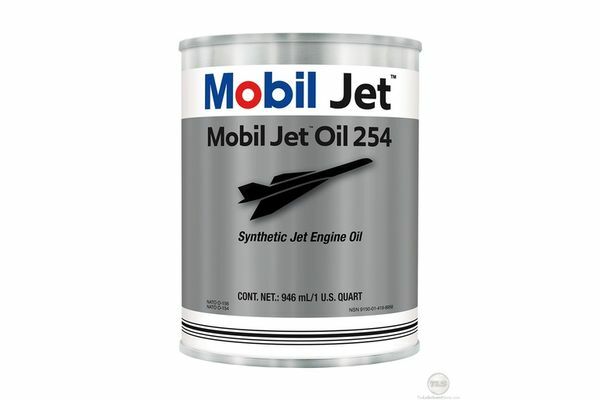 Mobil Jet™ Oil 254 is a high performance, premium quality, high thermal stability oil and is approved against SAE AS5780 (HPC) and MIL-PRF-23699 (HTS) standards. 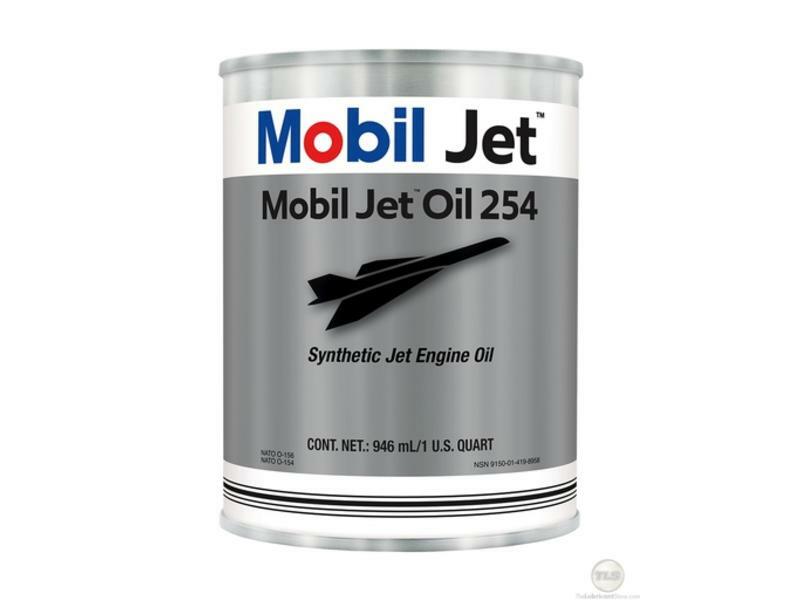 Mobil Jet™ Oil 254 is recommended for aircraft gas turbine engines of the turbo-jet, turbo-fan, turbo-prop, and turbo-shaft (helicopter) types used in commercial and military service. It is also suitable for aircraft-type gas turbine engines used in industrial or marine applications. Mobil Jet™ Oil 254 is approved against the High Thermal Stability (HTS) classification of U.S. Military Specification MIL-PRF-23699. It is also compatible with other synthetic gas turbine lubricants meeting MIL-PRF-23699. However, mixing with other products is not recommended because the blend would result in some loss of the superior performance characteristics of Mobil Jet™ Oil 254. Mobil Jet™ Oil 254 is completely compatible with all metals used in gas turbine construction, as well as with F Rubber (Viton A), H Rubber (Buna N), and other commonly used seal materials.